Home » County Clerk » Auto Titles » Most Common Questions » When Do I Pay My Sales Tax? Sales Tax is paid to the County Treasurer within 60 days of the date of purchase. Penalties will begin collecting a 1% per month interest fee starting with the 66th day, and a civil fee of the greater of $25.00 or 10% of the tax beginning on the 66th day from purchase. So if tax is not paid in 65 days, then the customer will receive the penalties. You can use the tax and fee calculators on the Treasurer's website to get the sales tax rate for all 23 counties in Wyoming. 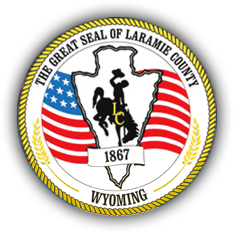 The original Wyoming Certificate of Title cannot be released to the vehicle owner, bank or credit union, until the sales tax is paid.